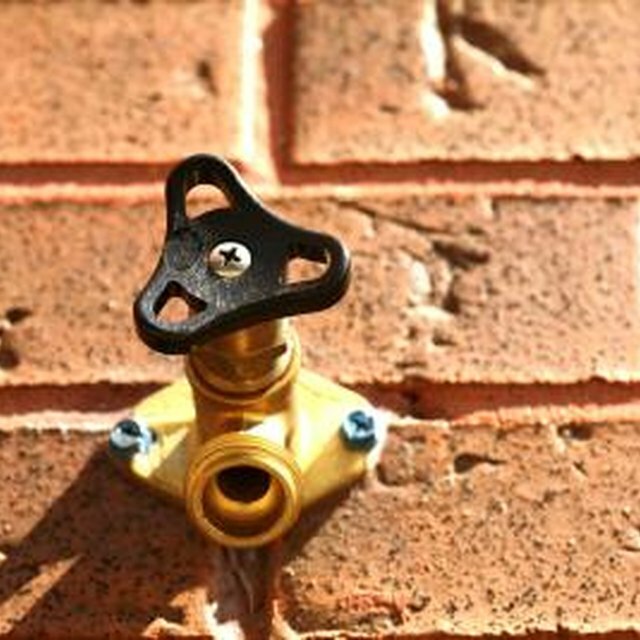 Winterizing your outdoor plumbing can prevent major damage to your home. Frozen pipes can break, leading to leaks and flooding. Replacing or repairing water lines can become very expensive and usually a professional plumber must do the work. Prepare your faucets early to prevent accidental freezing. Winterizing your outdoor plumbing can prevent major damage to your home. Frozen pipes can break, leading to leaks and flooding. Replacing or repairing water lines can become very expensive and usually a professional plumber must do the work. Prepare your faucets early to prevent accidental freezing. This process can easily be reversed in the spring, after the threat of freezing has passed. Protect the pipes where they enter the house. Close foundation vents and add Styrofoam or wood to fill in any gaps around the pipe and wall. Caulk the opening to seal it from the elements. Turn off the water access to the outside. This is usually a separate line that can be shut off. Allow the excess water to drip out by leaving the faucet turned on for a few minutes. Disconnect water hoses from the faucet. Shake out extra water from the hose to prevent breakage. Cover the outside faucet with an insulating material, such as cloth or newspaper. Wrap plastic around the insulation and tape securely. Turn off and drain any underground sprinkler or lines to small ponds. You may be able to keep a pond turned on if it is heated or set deep enough. Allow faucets to drip to prevent freezing for short periods of time. This is only recommended for overnight freezes. What Causes Salty Well Water?